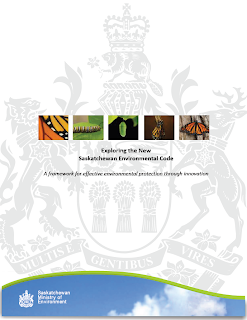 The Saskatchewan government has initiated a public review of a new draft Environmental Code. Municipal matters (drinking water, sewage works, liquid waste disposal, landfills, litter control). 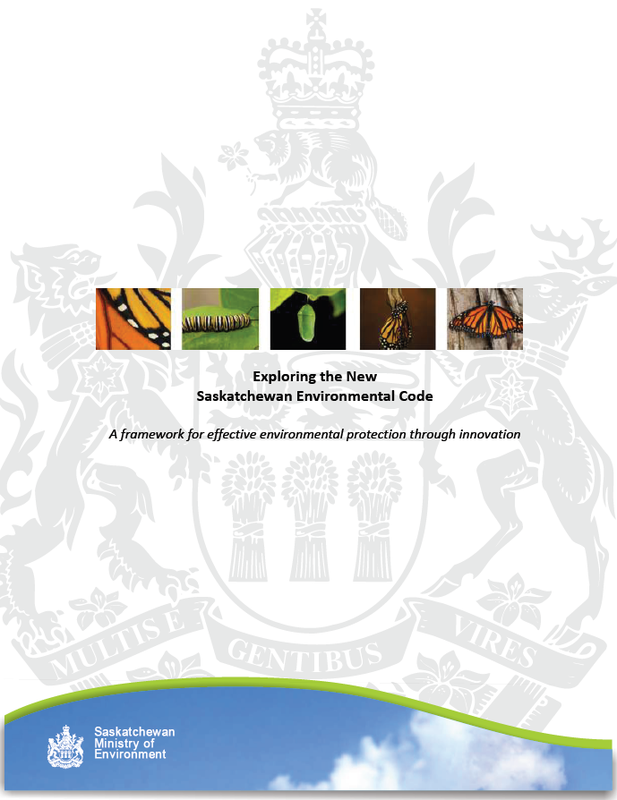 The Code is the first in Canada to employ a results-based regulatory approach. Businesses and municipalities will have the choice of following the proven Acceptable Solutions outlined in the code, or they can develop their own Alternative Solutions, which must be signed off by a qualified person and accepted by the Minister. The Government believes that this approach will ensure that the environmental performance objectives are constant and can be applied consistently across all sectors while providing the flexibility to take advantage of emerging technology and processes. The Saskatchewan New Democratic Caucus has expressed concern that self regulation can mean no regulation. NDP Environment critic Buckley Belanger has stated that, “A permit-based system with regulations is in place to help and ensure companies make responsible choices when it comes to our environment," Belanger said on Wednesday. "Scrapping the need for permits could result in permanent damage to our environment before the government even realizes there is a problem." Comments can be submitted online but must be received by March 16, 2012 to be considered for Version One of the Code. Note: The information in this article is based on the material provided on the Government website and the information in the Discussion Document.